Which emotion is driving the market right now? 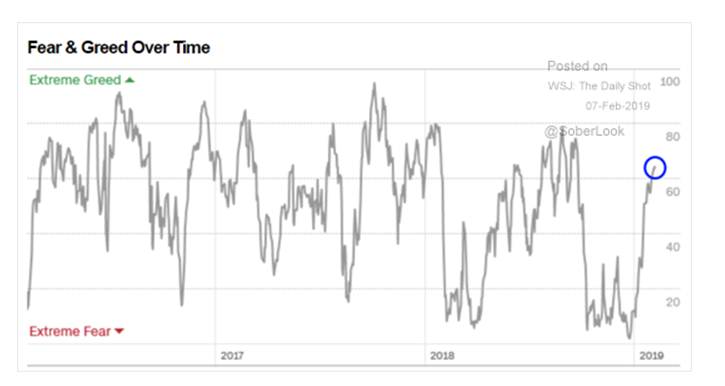 At the end of 2018, we saw extreme fear, but now investors are moving towards greed. 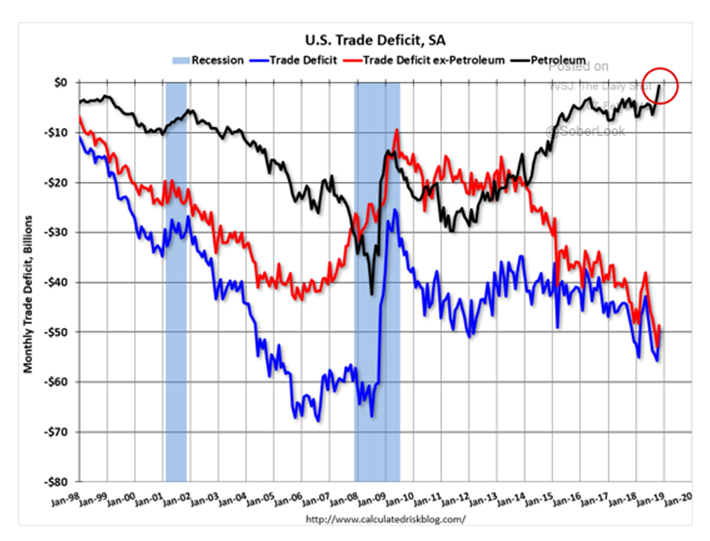 With the U.S. oil trade deficit nearly behind us, we are poised to become a net exporter of both oil and natural gas. 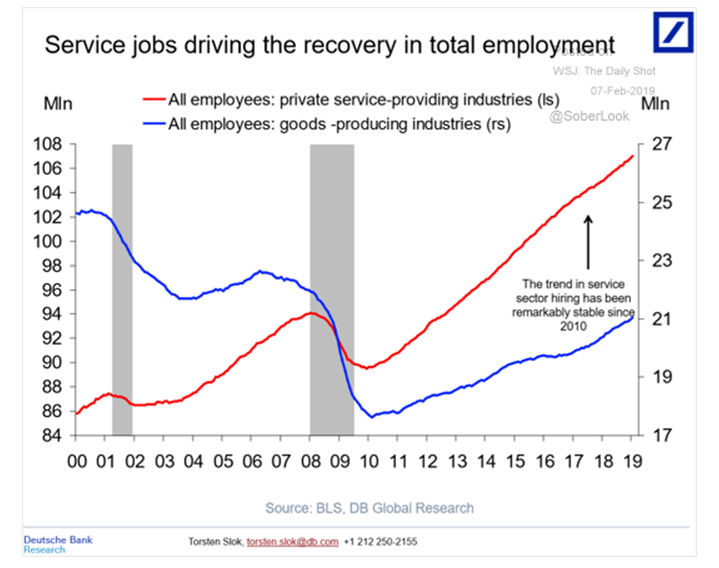 Service jobs in the U.S. have been driving employment recovery since ’07-‘09 recession. 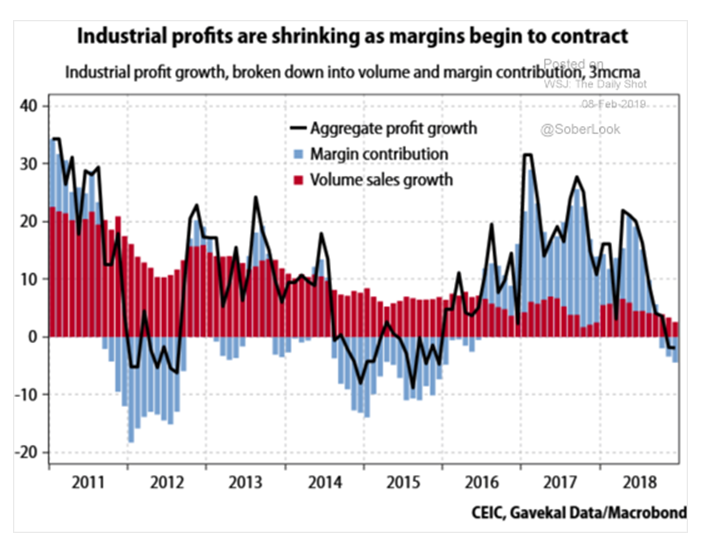 Industrial margins are under severe pressure in China. 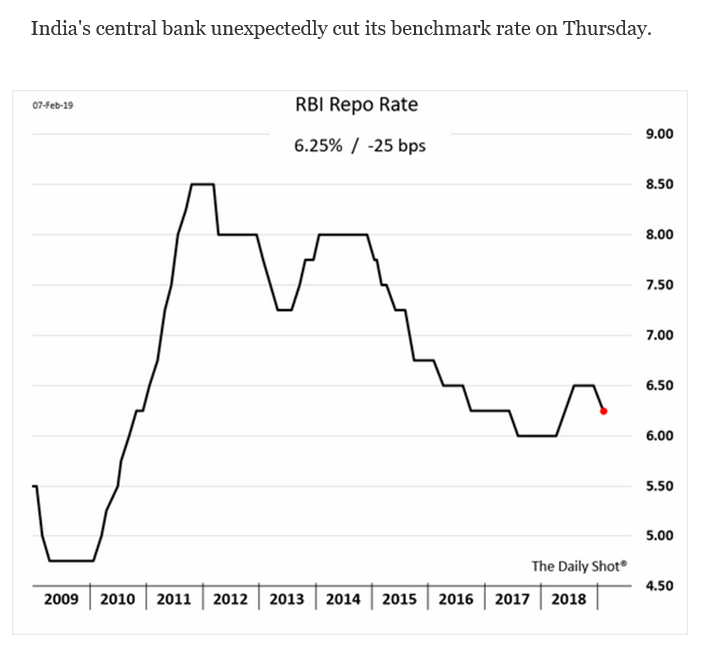 Along with Australia, India has unexpectedly cut its benchmark rate. Why is this happening in these supposedly growing economies? 2. 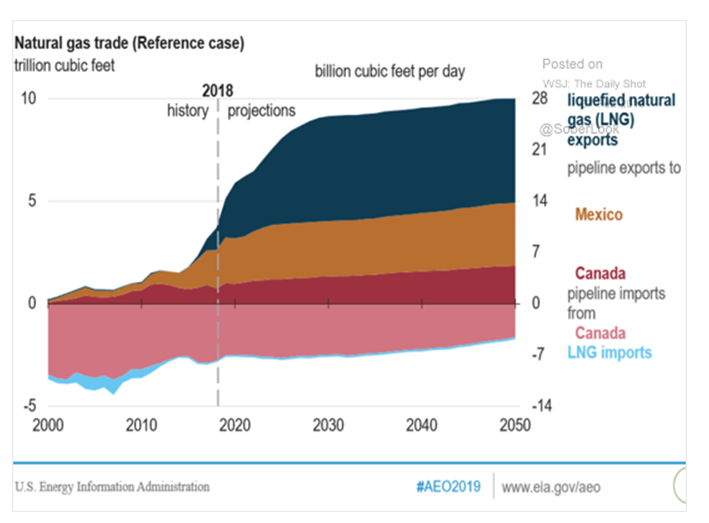 As someone who remembers the OPEC-led oil crisis, the gas lines and "peak oil", it is amazing that the U.S. is about to become a net exporter of oil. 4. An interesting look at the U.S. job recovery. 5. While not surprising, this is disconcerting. 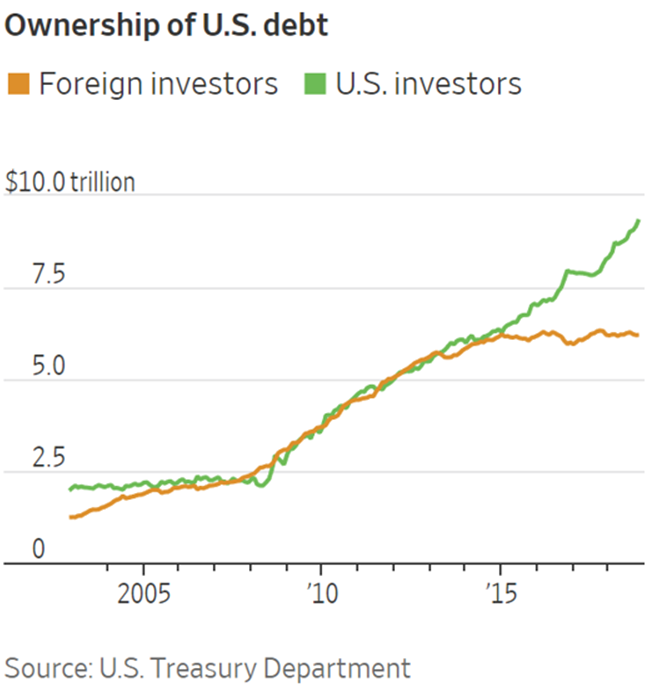 Who is going to buy our ever-increasing supply of debt? 6. 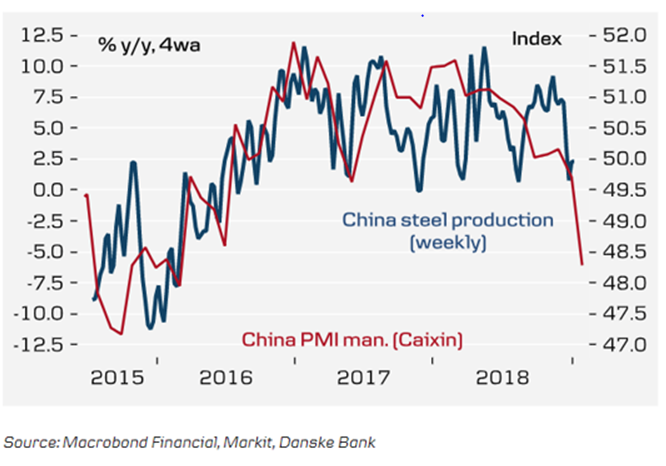 China is already quietly stimulating its economy but a rate cut may also be in the cards as their economy may be in "trouble". 9. 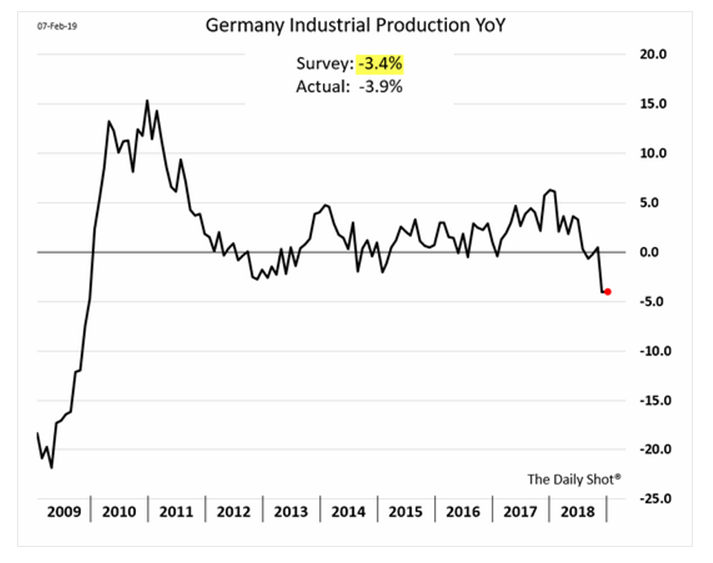 Together with Australia, this is the second surprise cut in rate by a Central Bank this week. If these economies were growing, wouldn't rates be increasing? The BCM Investment Committee has spent countless hours over their careers trying to understand when large drawdowns are more likely to occur. Nevertheless, nobody knows exactly when it will happen but we know for one thing that it will. The probability of another 20% or more drawdown is higher than you may expect. Are you willing to enter that market with your current portfolios? Why take those chances without strategies that can grow AND become defensive when necessary?